"He's a punchy and pragmatic negotiator, who doesn't take a backwards step from instructions." Nicholas is described in Chambers & Partners as “excellent”, "exceptionally detailed in his preparation and completely in control when in court. He is adored by clients." He is frequently instructed for both wives and husbands in high value, “big money” cases in the High Court; including cases in which the parties’ wealth has been stated to be in the billions of pounds. His busy practice includes cases with an international element, including forum disputes and the consideration of assets in offshore trust structures and companies. In Joy v Joy-Morancho, Nicholas was junior counsel for the husband. The wife sought a lump sum payment of £27m, on the basis that there was at least £54m in an offshore Trust. The Judge was persuaded that capital would not be made available to the husband from that Trust. As a result, no capital payment could be ordered. Nicholas was also junior counsel in the high profile case of Juffali v Estrada, representing the Saudi Husband. His wife alleged that he was worth £4bn - £8bn. The husband was successful in establishing the principle of his diplomatic immunity in the Court of Appeal, although was not able to rely on it due to his permanent residence in this country. In the financial proceedings, the wife sought over £200m. The Judge was persuaded that the husband should only pay £55m. In addition to the high profile cases, Nicholas regularly settles cases for his clients, discreetly and favourably, without the need for costly and protracted litigation. the Trusts of Land and Appointment of Trustees Act 1996. Nicholas is sought after to lecture on all aspects of family law. He is a contributor to uk.practicallaw.com and the latest edition of Rayden and Jackson on Divorce and Family Matters (the leading family law practitioners’ text book). 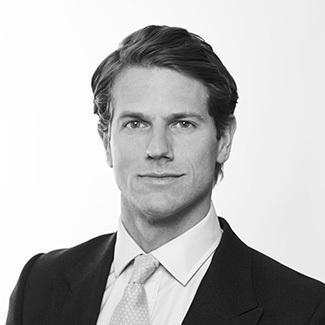 Nicholas was called to the Bar in 2006 (Middle Temple – Exhibition), undertook his pupillage at 1 Hare Court (2006-2007), became a resolution trained mediator in 2012 and a pupil supervisor in 2016. "Nicholas is a polished advocate whose attention to detail is excellent. He has a commanding court presence which belies his years." "He is exceptionally detailed in his preparation and completely in control when in court. He is adored by clients." “An excellent junior barrister dealing with a broad family practice concerning financial remedy disputes and private law children proceedings”. “An extremely competent junior barrister with excellent client care skills, he’s well able to deal with complex issues quickly and give good pragmatic advice”. "Does a great job of making the seemingly unarguable a tempting proposition, and is always prepared to go toe to toe with the opposition."